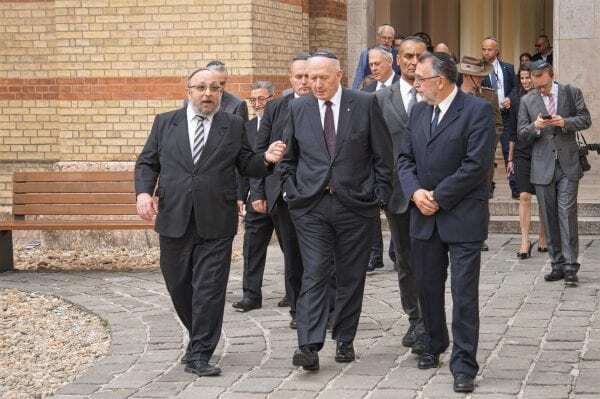 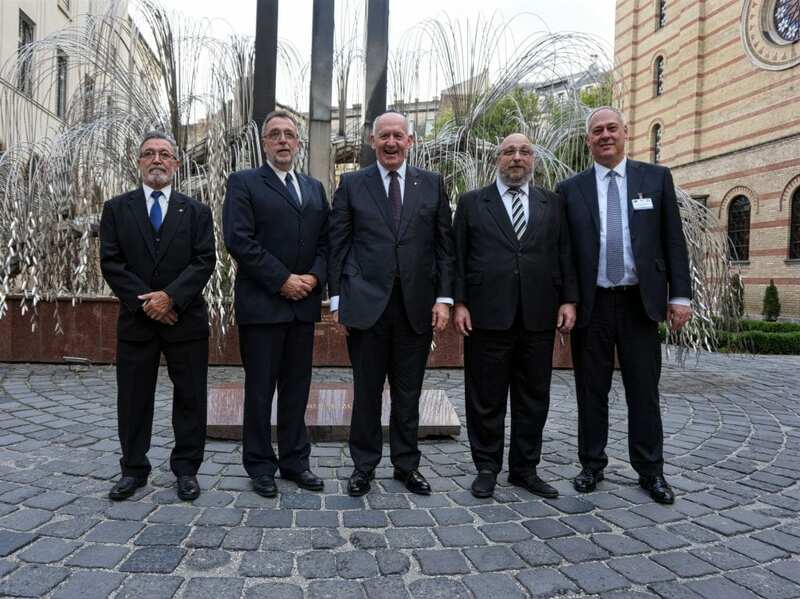 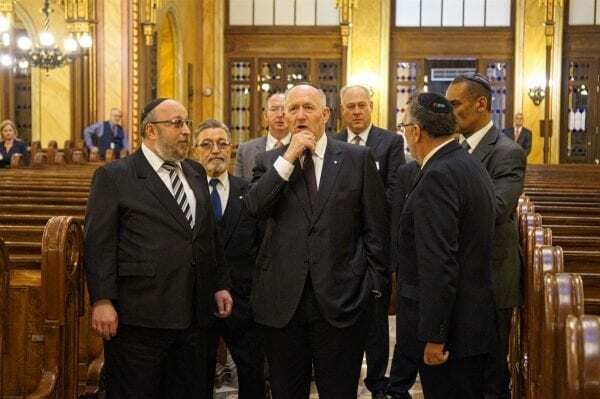 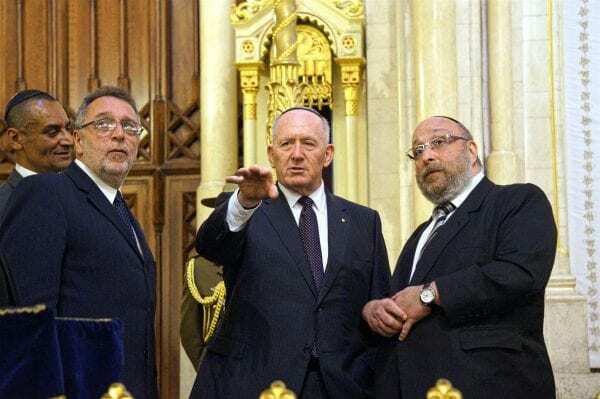 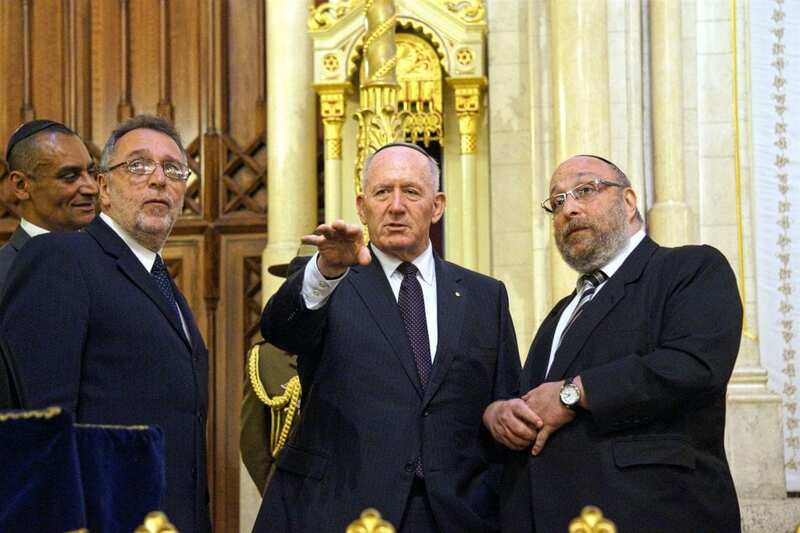 Australia’s Governor-General Sir Peter Cosgrove has visited the MAZSIHISZ – Federation of Jewish Communities in Hungary. He was welcomed by András Heisler MAZSIHISZ president and by Dr. Róbert Frölich chief-rabbi of Hungary. 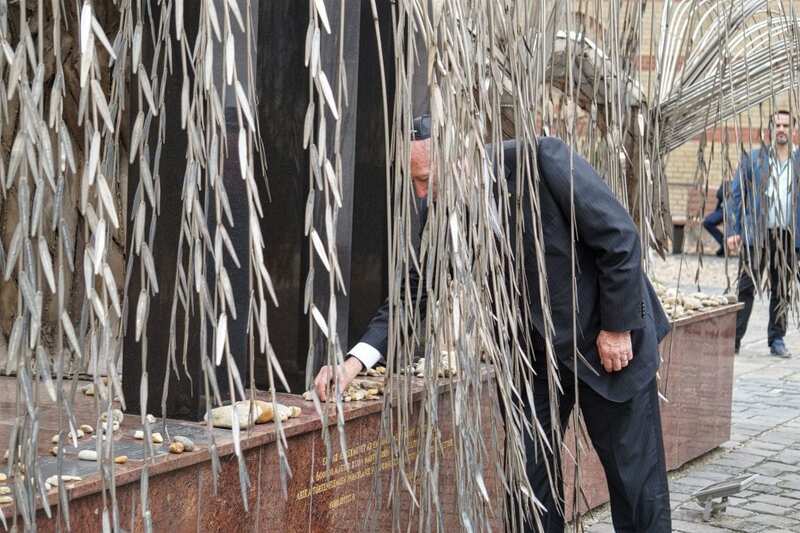 After visiting the Dohány Street synagogue Sir Cosgrove put a stone of remembrance at the Emanuel Tree in memory of the six-hundred thousand Hungarian Jewish martyrs of the holocaust. 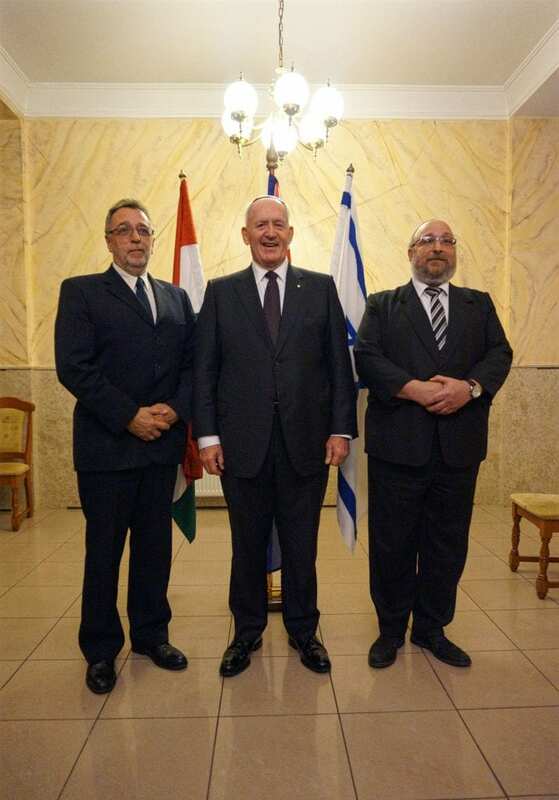 In his speech Sir Cosgrove welcomed the Hungarian Jewish people with warm words. 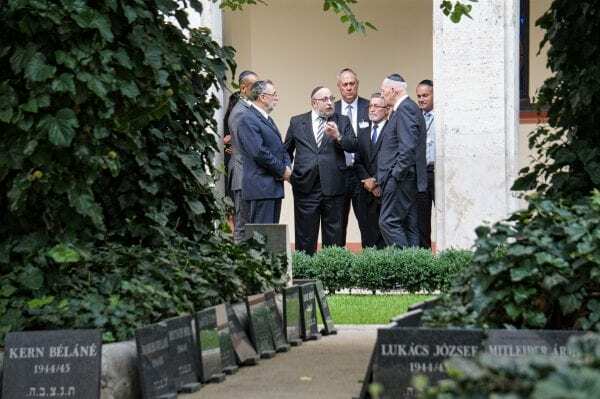 Mr. Jozsef Apro, a member of the Hungarian Jewish community, and a veteran of the 1956 Hungarian revolution also participated at the meeting. 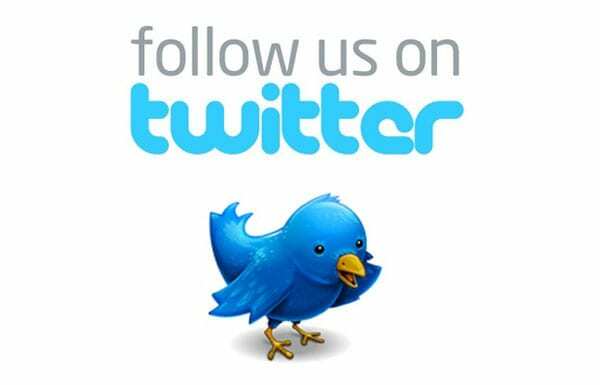 He is a major-general and after the revolution he emigrated to Australia where he became a fighter pilot going to a career in engineering. Sir Peter Cosgrove was born in Sydney in 1947. He fought in the Vietnam war, and was promoted many times while he served as Chief of the Defence Force from 2002-2005. 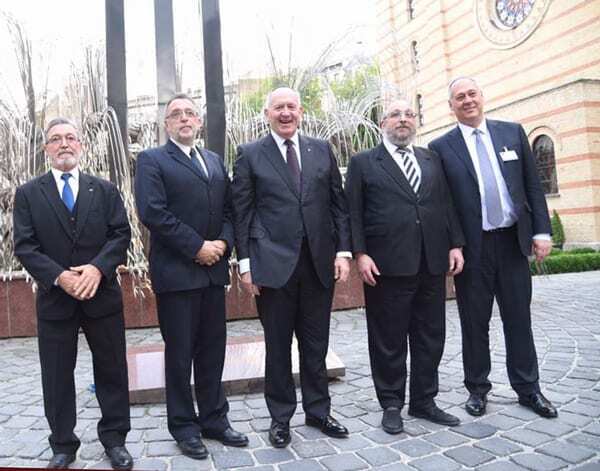 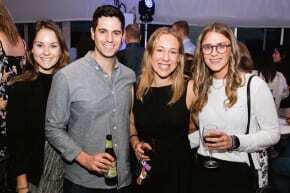 Cosgrove is a close friend to the Australian Jewish community. 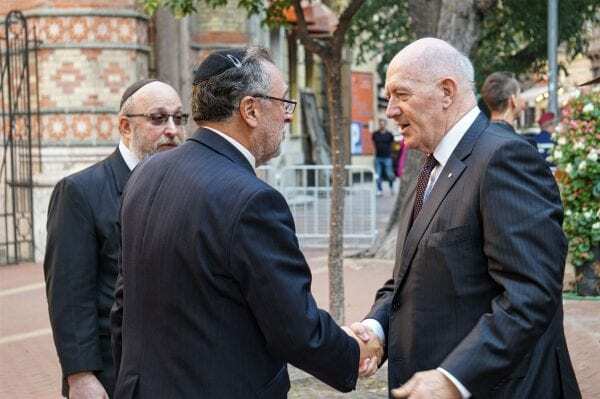 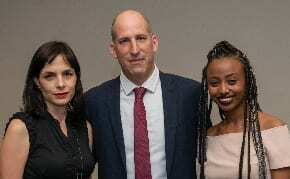 He is a former Chairman of the Jewish-born General Sir John Monash Foundation, and has recently become Patron-in-Chief of the Foundation. 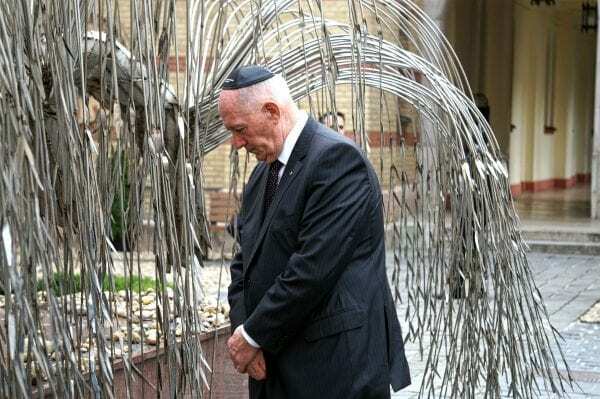 He has visited the Sydney Jewish Museum several times. 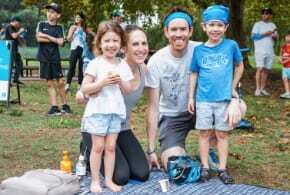 Since 2014 he is the Governor-General of Australia.